When every employee is happy, energized, and connected to a shared purpose—the benefits to your business multiply. Engaged Organizations start with brave, caring owners who are hungry for change and are eager to get started. Being open to the truth and willing to listen takes courage, but it’s an important first step towards transformation and increasing engagement. You’re not alone in your journey improving employee engagement in your organization—we’re with you at every step. Our dedicated Engagement Specialists and a library of resources ensure you get the most out of every phase of the program. Organizations that don’t give clear expectations or hold people accountable see productivity flatline or decline. When everyone has different goals and are moving in different directions, inefficiency runs rampant. Quick, mobile-friendly surveys deliver truly honest feedback from everyone in your organization. 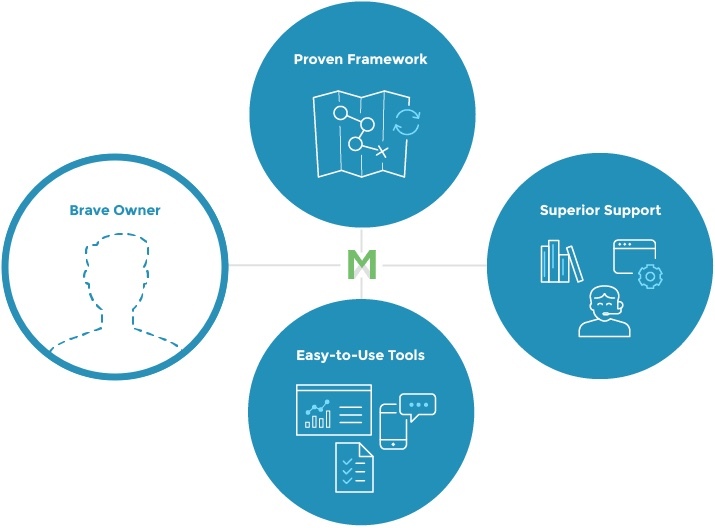 Your command center to see employee feedback, engagement scores, actionable insights, and to share reports. Create your own custom survey questions to explore deeper issues more specific to your organization. 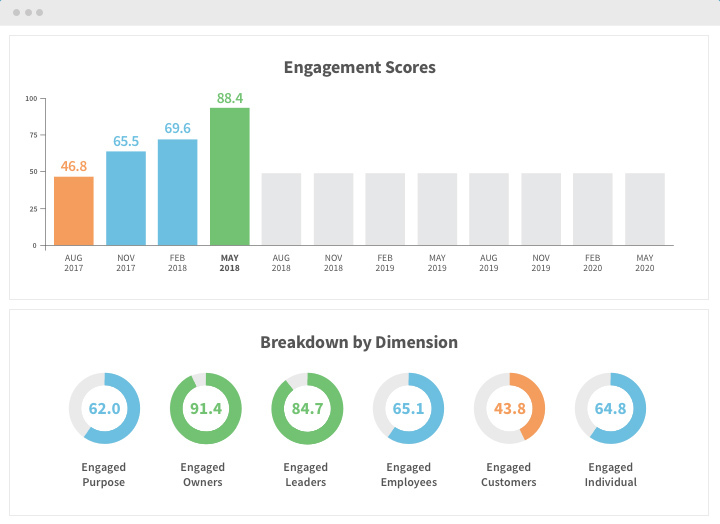 Try the engagement program out for yourself with a FREE report, and see how it can transform your business into an engaged organization.